This incredible Bug Can-Am X3 conversion is completely street legal. Every project has to start somewhere. At some point, you might just get a bug planted in your head that makes your mind go to work, wondering how you can take some of these inspirational ideas and apply them to your own situation, bringing together all of these factors into one finished product that’s something that you can be proud of. 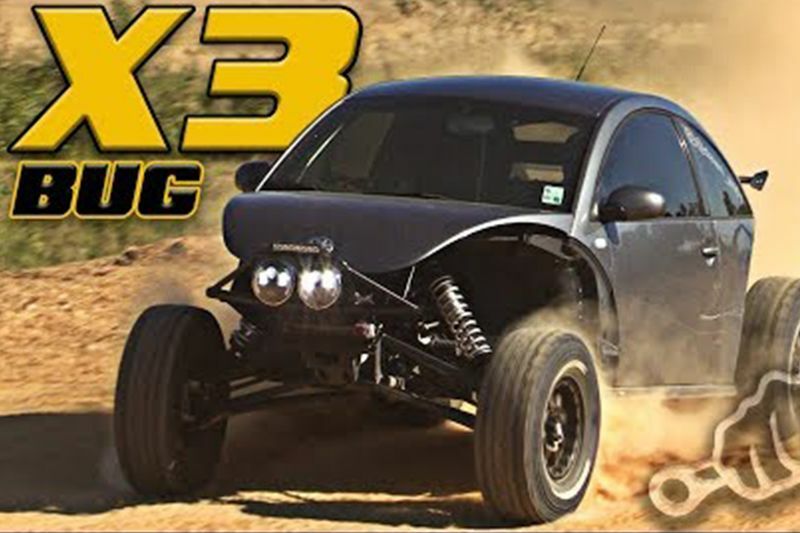 In this particular case, the creation that we see in front of us was inspired by none other than a Busted Knuckle video that would combine the likes of a Polaris RZR side-by-side and a Volkswagen Beetle, the combination of factors that would make the RZR able to be used on the street. This would be all the spark that was needed to spin it off into another project of a similar scope that’s just too cool to ignore! After seeing this thing blasting around, you can’t help but have your eyes glued to the outcome. By taking a Can-Am X3 and selecting various parts from a Beetle, the combination of the two is a street legal masterpiece that you’ve absolutely got to see to believe. When combining the factors that you get with both of these vehicles, the sum is definitely more awesome than all of its parts as this machine rips and looks to leave a mark that’s filled with adrenaline and a great time. The Busted Knuckle Films video below traces the steps that would make such a creation come together and gives you a bit of a taste of how such a machine functions when you lay into the throttle. Something like this is surely one way to make your time off of the beaten path a better one, even when you decide that you’re done with off-roading and want to hit the streets! Video: Check Out The Totally Insane First Road Legal Mclaren P1 Gtr!